Hey everyone! Today seems like another day for a swatch deposit! No real theme going on here, just wanted to share these colors with you! Loving the subtle but gorgeous holo in this dove gray polish. I believe I used 3 thin coats for the pictured look. Didn't think I'd like this "fuzzy coat" polish by Sally Hansen, and I don't love it, but it was pretty neat to wear, and I was surprised that I was able to achieve full coverage with it, though it did take a little effort. If you can't tell, I am kind of a sucker for grey polishes, this one is kind of a pewter metal sort of gray, and I love it! Duri is a very underestimated, under-appreciated brand, in my opinion. Here's a bright one for you, by Essie. Naughty Nautical is a gorgeous teal with a silvery subtle shimmer. 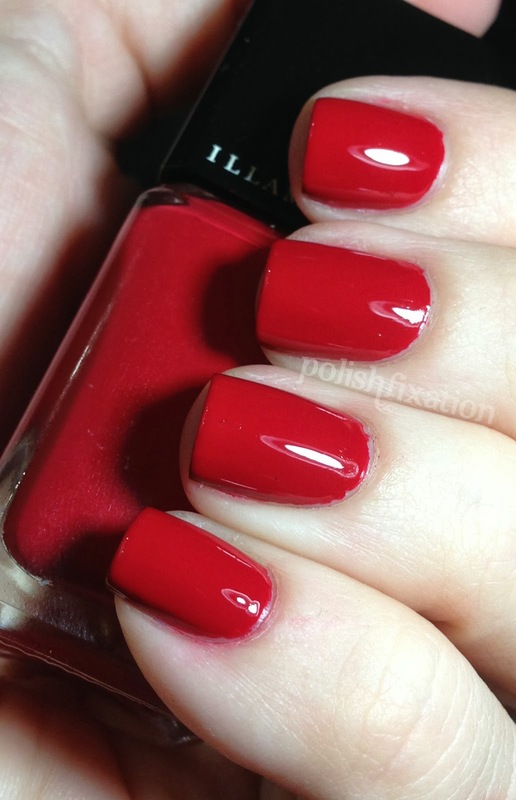 Throb is such a perfect red! Plus, the Illamasqua formula is pretty much flawless, this went on like a dream and I only used two coats. No staining either! Thanks for checking out these swatches! Do you enjoy swatch dump posts? I am thinking this will be a semi-regular occurrence for me because I have so many polishes I would like to share and it would take WAY too long to do single posts for each one. Let me know how you'd feel about that!